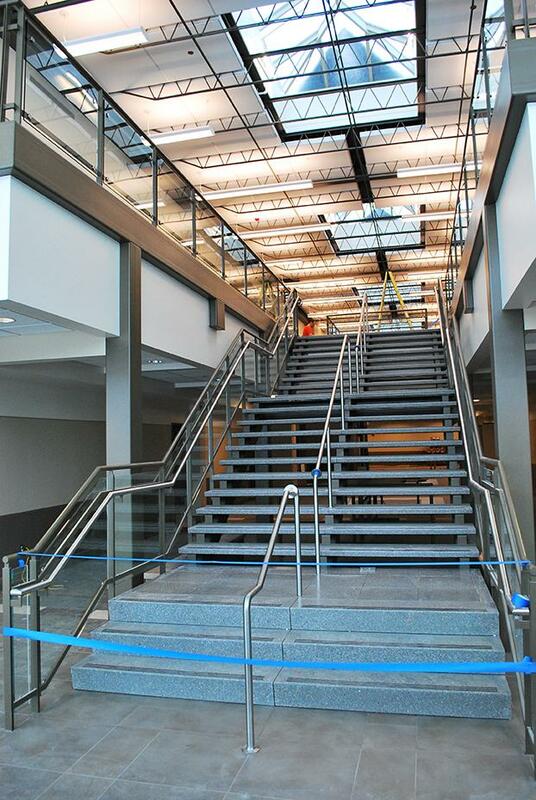 The main staircase in the new Education and Arts building. Construction on IU South Bend’s new Education and Arts building is set to wrap up in March. The building will be partially open to students after the dedication ceremony on April 17. It will be home to the offices of the school of the arts, the school of education and the dental clinic. Like many of IUSB’s other buildings, this new building will be LEEDSilver Certified. Both the arts department and the education department will move their offices into the building after it has opened. The education section of the building will include an area for students to study near the offices, and will also be home to the educational resource center. The center will be bigger than its current location in Greenlawn Hall, and will have an area for education students to work on projects. The section will also be open to local teachers in the area. The school of the arts’ music program will have a new rehearsal hall on the building’s south east side, and the lobby will contain the school’s gallery. IUSB’s dental department will get a new suite inside the building, as well as new equipment and upgraded technology. The building will also feature a new lecture hall and computer lab. The computer lab is scheduled to be open to students 24/7 and will be located on the building’s south side. The lecture hall will host the building’s first event, the Lundquist lecture, in May. Security was also a high priority when creating the building. It will feature card keys instead of traditional keys and will have surveillance cameras located near the doors to keep the area secure. 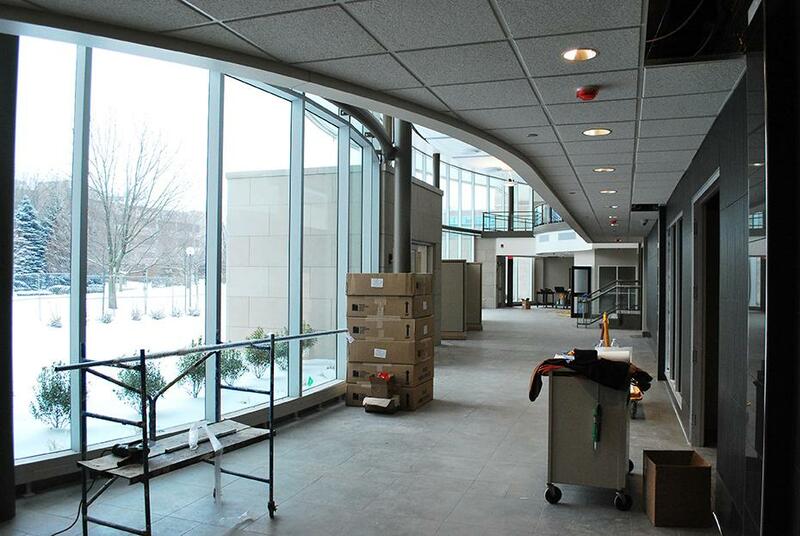 View inside the front hallway of the new building. After the building is completed, Greenlawn Hall will eventually be torn down, though this will not happen right after the building is finished. More information on the building can be found atwww.iu.edu/~uao/projects/IUSB-Education-and-Arts or by visiting the Office of Communications in the Administration Building.